Chabad at Wiregrass opened its doors in September 2008 to with the goal of building a close knit Jewish community and providing Jewish Services to fast growing communities of New Tampa and East Pasco County. 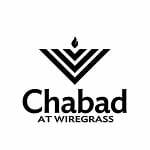 Step into Chabad at Wiregrass for an unparalleled Jewish experience. At Chabad we believe in the importance of the individual and the significance of every Mitzvah- good deed. Each year is filled with dynamic events and exceptional programming to make Judaism an accessible reality for all Jews regardless of background or affiliation.No matter how you see yourself, at Chabad we see you as Jewish. No labels. No differences. At Chabad you are family. You will find the atmosphere casual, the service traditional, and mood uplifting. Our community is a budding family and our motto is Jewish. Done Joyfully! Rabbi Mendy Yarmush born and raised in Toronto, Canada, studied in rabbinical schools in Toronto, New York and Los Angeles. After completing his studies, he was ordained by leading Rabbis from the US and Canada in 2005. As an intern Rabbi, he provided educational programs and holiday events for Jewish communities throughout the USA, Australia and China. He Organized and Directed Passover Seders and other Jewish rituals and study groups in Australia, Russia and Cuba, as well as directing Jewish children's overnight camps in Morristown NJ, Phoenix and Tucson, Arizona. Mrs. Chanie Yarmush born and raised in Tampa, Florida, studied at the Hebrew Academy until high school, after which she left to study at the Beth Rivkah Academy in Brooklyn, New York, a school specializing in Developing future educators. After Graduating High School Chanie traveled to Melbourne Australia where she studied and graduated with a teacher's degree majoring in Judaic Studies. As youth Director for Chabad of Tampa Bay, she directed Camp Gan Israel, as well as implementing many successful programs such as Chai Five and Bat Mitzva Club for the Jewish community. In addition, Chanie taught at the Hebrew Academy in Tampa, as well as in Schools in Brooklyn and Manhattan, New York. Together Rabbi Mendy and Chanie (& our 6 children Nissi, Rochel, Arik, Dovid, Shneur & Sarah) look forward to celebrating our Judaism together and welcoming you to the community, our extended family.